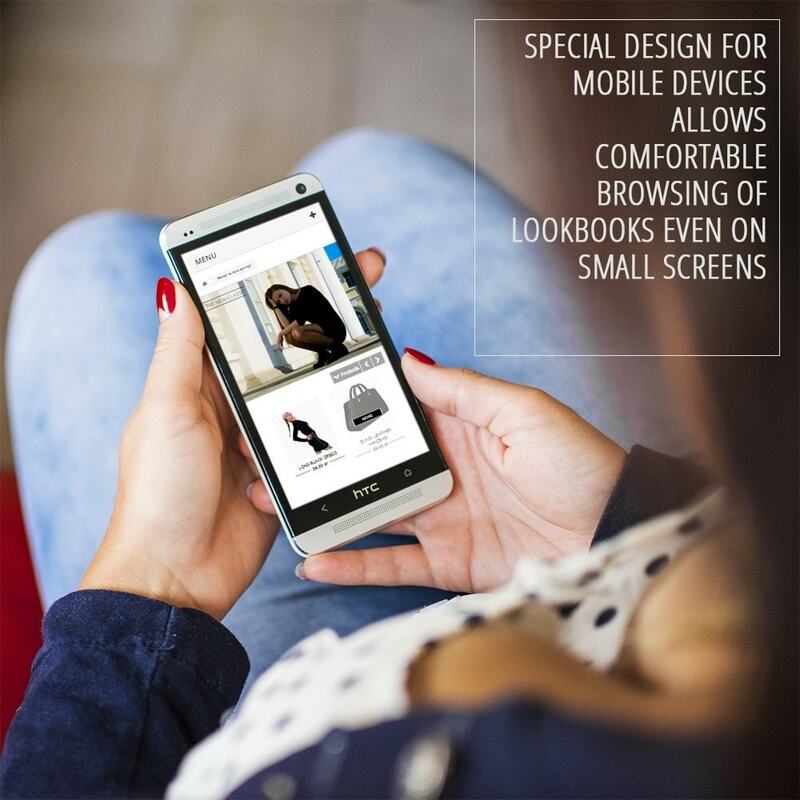 Modern, intuitive and functional lookbook that will help you rise your revenue thanks to attractive presentation of complementary products. Designed for demanding sellers who only accept best solutions. You will sell more - show your complementary products on lookbook images and assigned products with oportunity to buy. 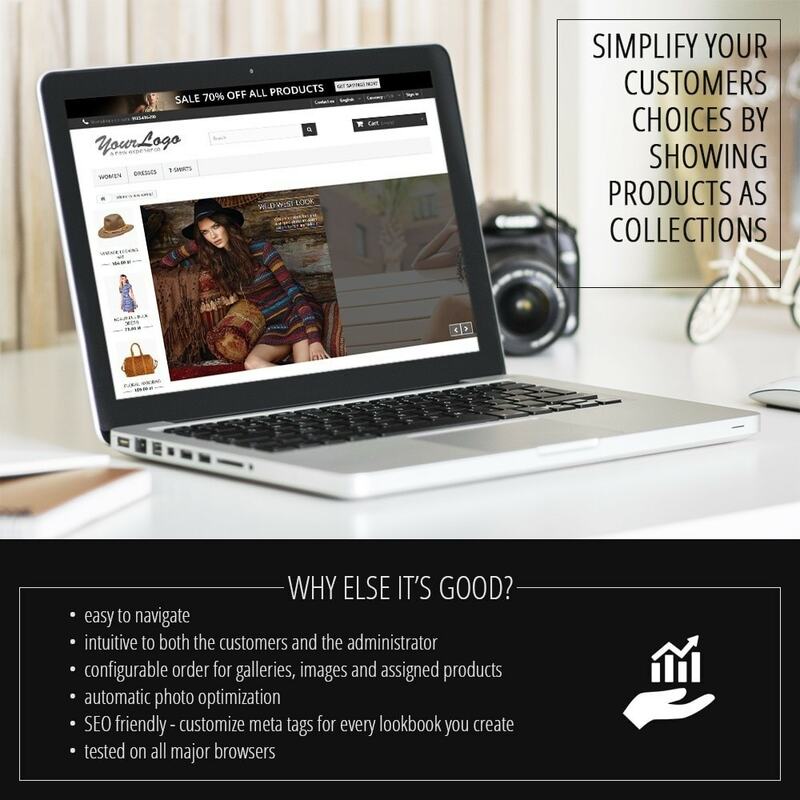 You will make the purchasing decision easier - show products from same collection or stylization at sight of the customer to arouse his desire to buy. Modern photo presentation - as innovative slider that adjusts to height of the screen. Comfor and elegance. Customer can focus on selected photo and the next one will gently wait it's turn. Availability on mobile devices - the module will adjust to smartphones, tablets, laptops and desktops of any possible size. Intuitive navigation - easy for your customers (front office) and for you (back office). 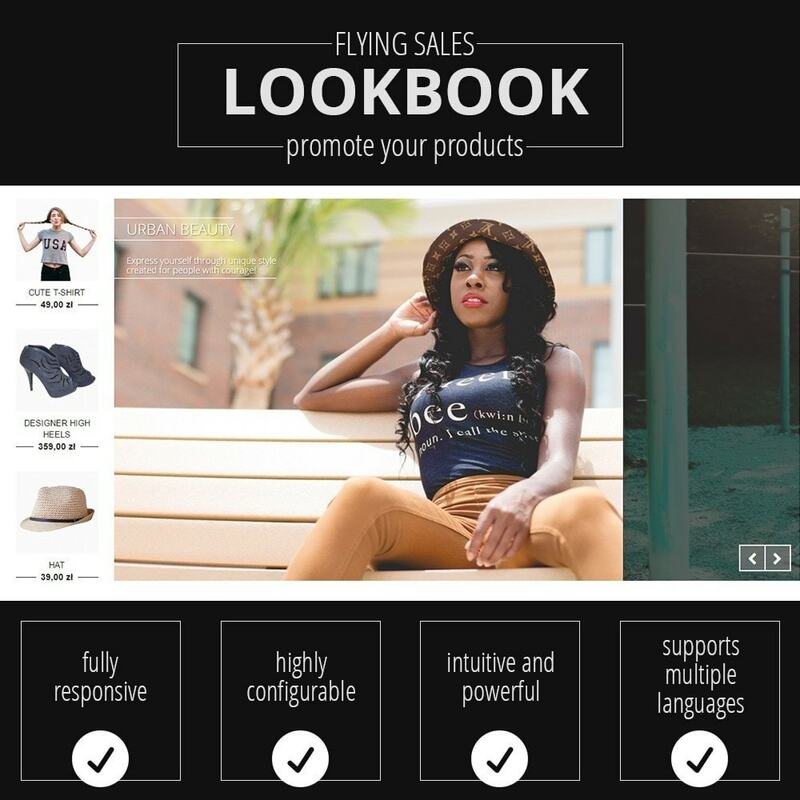 No quantity limitations - create and present any amount of lookbooks, images and assign as many products as you need. Extensive personalization - the module is flexible and will adapt to photos you use and it's contents. Perfect for your business - showcase in an attractive way vertical images from from fashion industry, horizontal images of furnished interior, square photos of jewelery models.